Bar Soap – is most crucial ingredient. 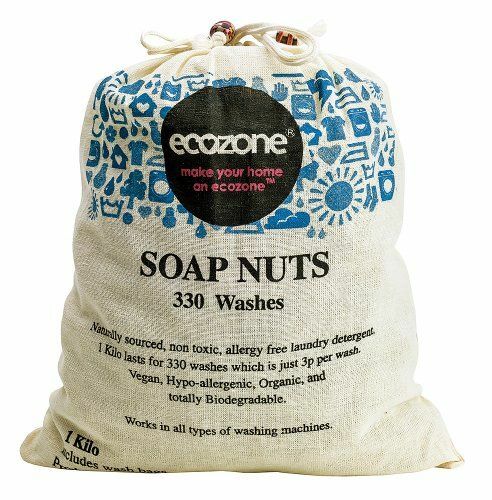 Soap gives the detergent its cleaning power. DIYers recommend several brands to use in homemade detergents, including Kirk’s Castile, Dr. Bronners, Savon de Marseille, Fels Naptha or Zote. These last two are marked laundry soap and work very well in homemade detergent. Washing Soda – not to be confused with baking soda (sodium bicarbonate), washing soda is sodium carbonate, also known as soda ash, and it helps to remove dirt and odors. Fragrant or essential oils –you can add some of your favorite oil essence to give a nice fragrance to your detergent. Recommended amounts are one to two ounces per load. Tea tree oil has the added benefit of acting as a disinfectant, so it’s great for washing cloth diapers, hand towels or linens from a sick family member. Use a grater to shave the bar of soap into small flakes. Mix well with borax and washing soda until you achieve an even, fine mixture. Store in labeled, air-tight container. This recipe makes approximately 32 ounces of detergent; use one to two tablespoons per load depending on size. If you are not interested in making your own laundry detergent, check out these companies! Reusable, durable, refillable 16 oz blue glass sprayer bottle makes it easy to replace wasteful store-bought chemical cleaners with all-natural, non-toxic homemade cleaners you make yourself at home. 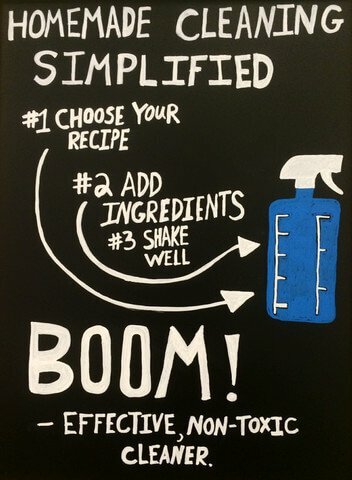 Simply choose a recipe, add ingredients to the fill lines on the bottle, shake, and you’re ready to clean! Every time you mix up a batch of cleaner, you not only eliminate the waste of a plastic bottle – you also avoid the shipping and production costs associated with that bottle and reduce your family’s exposure to toxic chemicals! Each reusable spray bottle has 5 cleaning recipes printed on the outside. These homemade recipes use naturally aromatic and antibacterial essential oils to replace harsh chemicals. The tile cleaner works well for whitening grout and cleaning tile. The wood cleaner gently and naturally brings out the beauty of wood furniture and floors. The bathroom cleaner is a great antibacterial all-purpose cleaner for not only the bathroom, but any room of the house. Our ammonia-free glass cleaner works well on any surface that needs a streak-free shine. Finally, the powerful kitchen cleaner is the one to put to work on hard jobs, thanks to its excellent degreasing properties. Don’t believe the marketing hype-you don’t need a different cleaner for every surface of your home. Vinegar and baking soda work wonders for household cleaning. Baking soda works great for surfaces that need a scrub–the toilet, stovetop, etc. DIY: The Zero Waste Chef makes her own apple scrap vinegar!